Most Marvel extremists are still residing somewhere between a state of complete shock and within a mental entrapment of the burning question: what the hell do we do now? In the final moments of Avengers: Infinity War, Marvel’s most famed characters fell in a way they’ve never fallen before —leaving fans squirming in their chairs in agony, thinking this can’t possibly be how it ends. Viewers watched helplessly as Spider-Man, Vision, Bucky, Nick Fury, and most of the Marvel lineup, disintegrated to dust. In the post-credits scene just before Fury falls victim to Thanos’ hell-bent plan of bringing “balance” by means of genocide, he tries to make a call. As Fury’s hands and the rest of his body deteriorates, the device drops to the ground and reveals the symbol of Captain Marvel. This obviously incited several questions: Why was Fury calling Captain Marvel? How can she help reverse Thanos’ population wipeout? And the big one, why hasn’t she been here before? Certainly, her cosmic abilities would’ve been of good use when the Chitauri descended upon New York, releasing an alien race led by Loki onto civilians. Naturally, the only way to break through the fog of confusion is to journey back to the beginning, Captain Marvel’s beginning that is. 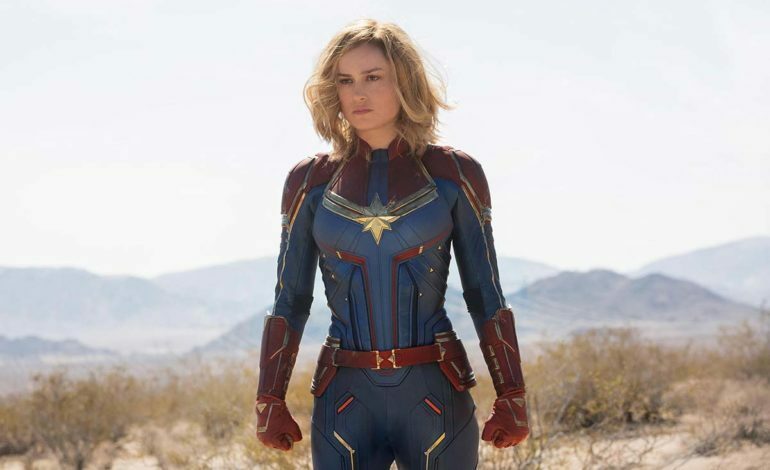 So, in preparation for the Air Force pilot-turned superhero origin story of Carol Danvers (Brie Larson), which is set for release in theatres March 6, 2019, a refresher of the road so far may be needed. For those eager to see Captain Marvel but have yet to see any other Marvel films, there’s a lot of groundwork to do over the winter months. 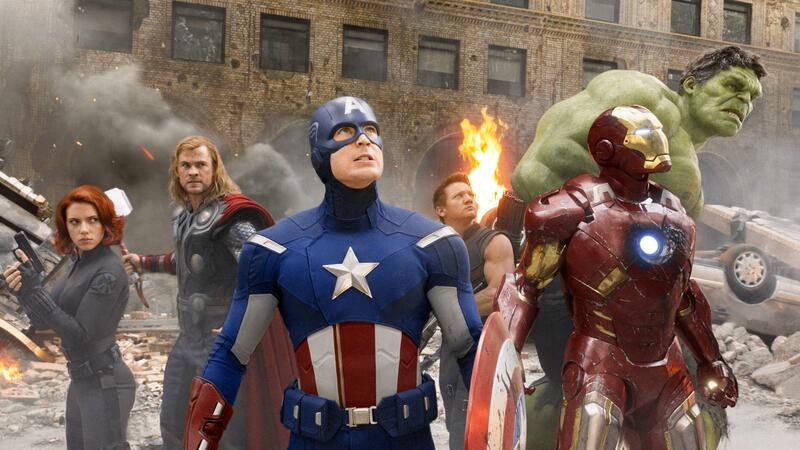 Here’s the full list of Avengers-related Marvel movies. For everyone else, here are a five of the absolute must-watch Marvel movies to gear up for Captain Marvel. 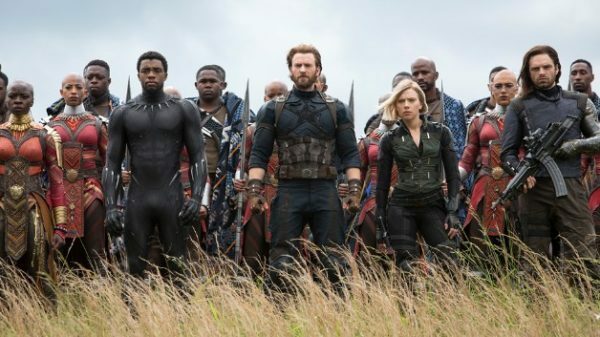 Director Joss Whedon’s The Avengers follows the standalone movies (and some of their sequels) of some of the elite squad’s leading members, including the Hulk, Captain America and Iron Man. It was here that viewers watched the stubborn, but eventually successful fusion of the diversely enhanced individuals now known as the Avengers. However, in efforts of heightened readiness for Captain Marvel’s release, the focus should be centered on Nick Fury (Samuel L. Jackson) and Phil Coulson (Clark Gregg). At this stage of the Marvel Cinematic Universe (MCU), Fury is the director of S.H.I.E.LD. (Strategic Homeland Intervention, Enforcement, and Logistics Division), rather than the apparent low-level desk worker shown in the Captain Marvel trailer. Fury created the Avengers Initiative and recruited some of the Avengers to later embody the complete phase one allegiance. Captain America (Chris Evans), Black Widow (Scarlett Johansson), Iron Man (Robert Downey Jr.) and the rest of the group came together to defeat Thor’s brother Loki , as he stole the Tesseract and mind warped Clint (Jeremy Renner), aka Hawkeye, and Dr. Erik Selvig (Stellan Skarsgard). Agent Coulson goes to Stark Tour to discuss Fury’s Avengers Initiative with Iron Man himself. At first, Stark repeatedly cuts Coulson off, but after seeing the data collected on everything regarding the Tesseract and its destructive powers, Iron Man agrees to help. The team stumbles upon several disagreements about how to conquer Loki (Tom Hiddleston). This is especially difficult for Thor, who at first, wishes to take his mischievous brother back to Asgard, rather than place him in the custody of S.H.I.E.L.D. Eventually, he surrenders. But, the Avengers don’t truly begin working together until after Fury motivates them with the death of Agent Coulson, who is stabbed by Loki. As seen in the Captain Marvel trailer, both Coulson and Fury, in their earlier days at S.H.I.E.L.D, will make prominent appearances in the upcoming film. It appears that in this stage of the MCU, Fury was not the director of the special law enforcement agency, but rather a desk jockey, and was not working with an entire group of superheroes — leading to the assumption that Danvers was the first one. The future S.H.I.E.L.D director is also shown with both eyes, which has excited many Marvel fans and left many wondering if Fury lost his eye somewhere along the way with Captain Marvel. The James Gunn-directed The Guardians of the Galaxy introduced many key characters to the MCU, including Gamora (adopted daughter of Thanos) who later becomes Thanos’ “soul for a soul” sacrifice to obtain the soul stone in Infinity War. In Guardians of the Galaxy, Gamora (Zoe Saldana), works as a bounty hunter for Ronan the Accuser, a member of alien race Kree. 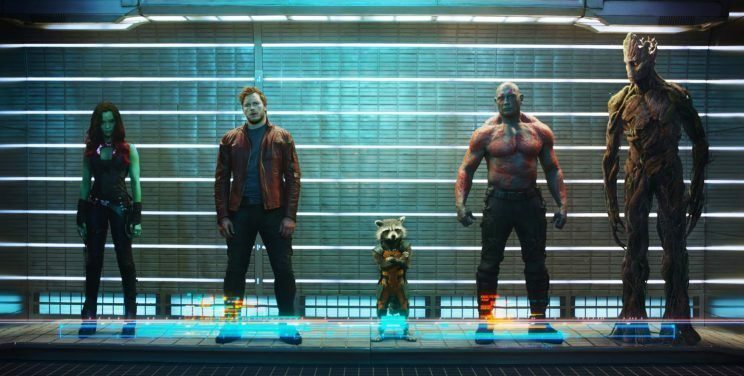 Gamora, alongside Peter Quill aka Star-Lord (Chris Pratt), Rocket Racoon (Bradley Cooper), and Groot (Vin Diesel), is arrested by the Nova HQ. Everyone in the prison wants to kill Gamora because of her relation to the notoriously crazed and violent Thanos. Drax (Dave Bautista), a member of the Guardians of the Galaxy, also tries to kill Gamora, mistaking her as the daughter of Ronan, who killed his wife and daughter. Not only is yet another infinity stone revealed in Guardians of the Galaxy, but The Collector (Gamora’s buyer for the orb, played by Benicio Del Toro) gives a complete reveal of each of the other stones and their powers — together making a weapon of mass extermination. Secondly, the Kree — Ronan in particular, play a large role in this film and is said to make a prominent appearance in Captain Marvel. Many fans are hoping for a detailed story of how Ronan became the rogue extremist who the Guardians defeated in his attempt of destroying the planet Xandar. The tesseract is one of the most important artifacts of the MCU. It was introduced to Marvel fans in the first Captain America film. However, after a string of alien attacks and run-ins with Loki, the god of mischief (Hiddleston) which included mind control over some of the Avengers and their allies and a deal gone bad with Thanos, the tesseract was taken to Asgard for safe-keeping. 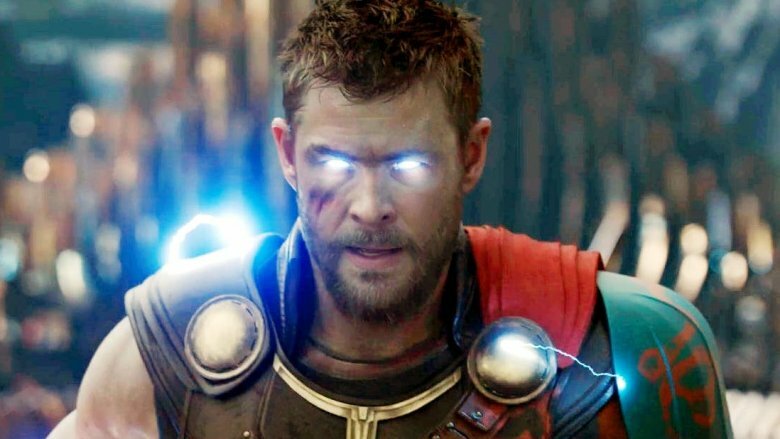 There, Thor (Hemsworth) and other Asgardians, used the infinity stone’s energy for traveling from universe to universe. In Ragnarok, Doctor Strange (Benedict Cumberbatch) transports Thor and Loki to Odin. Moments before his passing, Odin tells his sons about his first-born, Hela (Cate Blanchett), the goddess of death. Odin describes the child as fierce but misguided with a passion for war and power. Then, to Loki and Thor’s horror, Odin reveals that she had to be locked away and that the only force that can keep her exiled is Odin himself. Seconds after his death, Hela appears and begins her slaughter-fest that collapses the empire of Asgard – leaving Thor with no choice but to evacuate his people but not before Loki rescues the tesseract from the crumbling, flamed ruins. Fans learned just months before the release of Captain Marvel, that the story of Carol Danvers may reveal a new addition in the tesseract timeline. Possibly pointing to how she can help defeat Thanos? In part one of the Russo brothers-directed Infinity War, the first phase and second phase Avengers (Spider-Man, Black Panther, Scarlet Witch, Dr. Strange, etc.) are shown in surprisingly quaint alliances to embark on various adventures to stop Thanos from gaining all the infinity stones. Dr. Strange (Benedict Cumberbatch) works with Spider-Man (Tom Holland) and Iron Man to take down the Black Order and protect the time stone, while Black Panther (Chadwick Boseman), Captain America, Scarlet Witch, and Black Widow try to protect Vision, the carrier of the mind stone. At the end of the film, viewers were crushed as they watched Thanos not only fill his gauntlet with every infinity stone but use them to destroy half of the Avengers. In the post-credit scene, Nick Fury uses an intergalactic pager to summon Captain Marvel herself — asserting her probable appearance in Avengers 4 and a possible answer in her own film to how she may be of help in countering Thanos’ victory. This Peyton Reed-directed production was highly anticipated across the MCU. Many had hoped that as the film that followed the release of Avengers: Infinity War, it would offer some answers to the gut-wrenching ending. 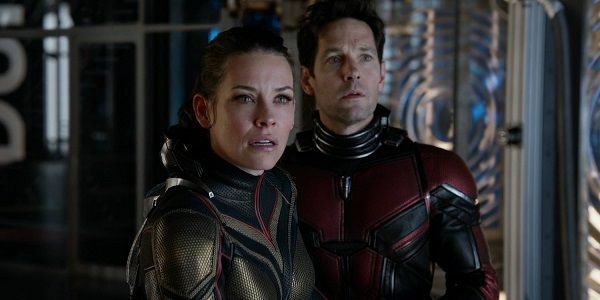 However, Ant-Man and the Wasp opens with how Hope (Evangeline Lily), loses her mother Janet Van Dyne (Michele Pfeiffer) in the Quantum Realm. This was a heavy subject in the first film, as throughout Scott’s Ant-Man training, he was warned about the dangers of the suit and most importantly, of going subatomic. Although, when Scott (Paul Rudd) is faced with no other choice in the first film during his fight with Yellow Jacket, he not only goes subatomic but returns — something Janet (aka the original Wasp) failed to do, leading Hank (Michael Douglas) to presume her dead. Scott’s big return since his house arrest-induced- hiatus guides Hank and Hope through an all-new mission, opening a tunnel to the Quantum Realm and bringing Janet back home.